Last year I was introduced to a yoga practice that’s infectious. I found myself in a Kaiut yoga class in Boulder, Colorado, May 2017, wanting to flee. I was accostomed to a yoga class with movement and flow, this was a quiet practice with a lot of sensation and, cue, no music. My hips were begging me to get the hell out of there. But I was committed. I was visiting my friend who had been talking about how Kaiut yoga was changing her life. Throughout the first half of the year, I experienced her to be more grounded, hopeful and cheerful and less triggered. She attributed her overall improved state of being to her daily Kaiut practice. My curiosity was peeked so while visiting her in Boulder, I discovered my hips, on a yoga mat. 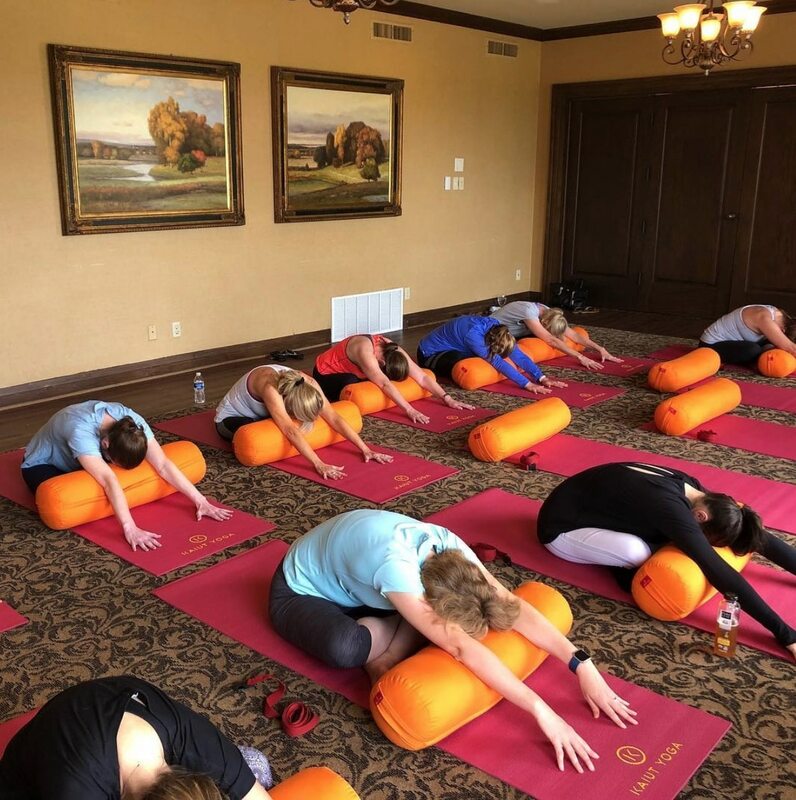 Physically, the practice felt nothing like previous yoga experiences but the post class euphoria was a welcomed surprise. My hips felt as though they had been scrubbed clean. They felt more fluid and overall I felt lighter. What was this yoga practice that apparently changed my friend’s life and why did I suddenly feel attracted to it? Kaiut Yoga was created by Francisco Kaiut in Brazil. 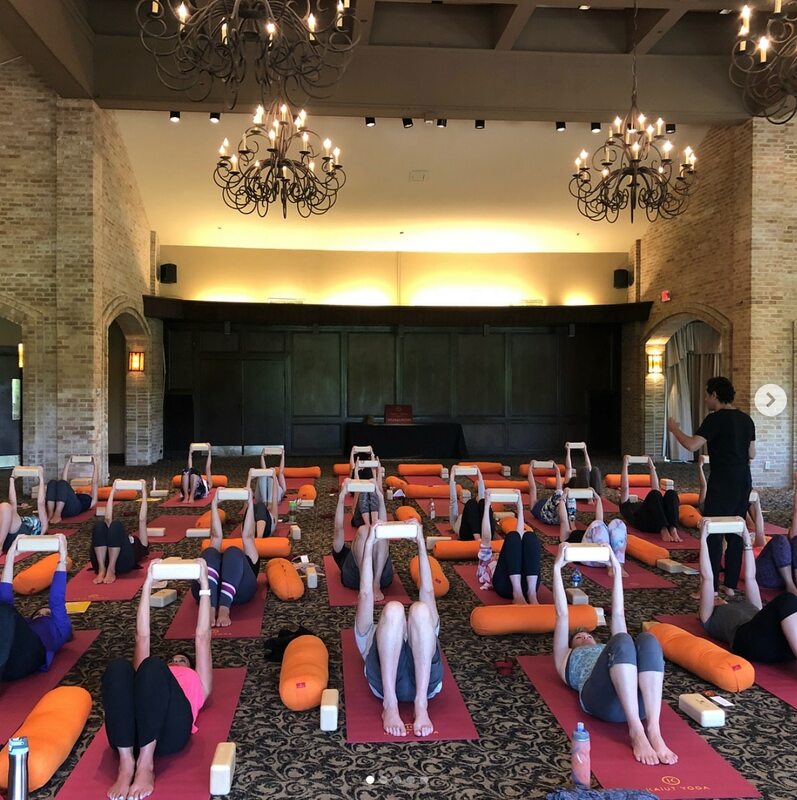 Guided by tending to his own physical injuries through yoga and a chiropractic and cranial sacral lens, Francisco created a yoga practice that accounts for the original biochemics of the human body and the original intention of yoga. According the Francisco, yoga was originally created in pursuit of human potential. Yoga poses were the catalyst to challenge the potential of the mind. Feeling younger while getting older. Improved range of motion at injury sites and rigid joints. Improved attention span and focus. I would sum it up to say, aging backwards. Yes, we are all destined to leave this earth through death but how we age is up to us. Restricted mobility as we age is a constaint of our belief system. You only need to glance at yogis to gain proof that they age differently than the normal population. Literally, anybody can do this yoga. You don’t need to have a yoga “body” or yoga closet. The idea that yoga is only for people who have perfectly sculpted bodies, are in shape and can morph their limbs into inconceivable poses is a misconception. In a Kaiut yoga practice, there’s no ultimate pose rather adapting your body to the pose in a way that does not excite your nervous system. Francisco considers this practice to be yoga for modern life. The body was designed for the shoulder, hip and ankle joints to have fluid, full range of motion for hunting, gathering, planting, reaching, bending, climbing and extending. In our modern life, the range of motion we demand from our bodies is limited due to our sedentary lifestyles. On the extreme end of the spectrum are athletes who demand repetitive motion from the same joints causing injury due to overuse. Yoga for modern life is a yoga that brings attention to the restriction in the joints due to under or over use and gently sets them free. Kaiut yoga consists of sequences of poses that place attention on the restrictions by causing constriction of blood flow to the joints. Our blood carries the healing properties of the immune system. If we have restricted access due to lack of range of motion or injuries, toxins collect within the tissues, further restricting blood flow. Over time range of motion in the joints continues to diminish as we age and the body becomes increasingly stiff and inflexible. Another layer of the diminished range of motion is that the physical body is intertwined with our emotional experiences. Our life history as experienced from an emotional perspective becomes hard wired in the Central Nervous System to the physical body. Emotional and physical rigidity increases the possibility of other health challenges as you age. This is one of the reasons, you’ll see yogis age with greater range of motion. They have been using their bodies in synchronicity with their breathing patterns and tapping into greater range of motion of the joints than what is typical for our modern life. Personally, my goal is to age so that I can hike mountains, walk, swim, travel and be actively engaged with my family well into my 80s and 90s. What I do today, determines how I age. Kaiut Yoga is an anti-aging practice that doesn’t include going under the knife! Struck by a case of Kaiut Yoga fever, I started my teacher training in May. My goal for 2019 is to introduce Kaiut Yoga to my peeps in Chicago. If you’re intrigued by Kaiut, join me and master Kaiut Yoga instructor, Yvonne Mosser, owner of Kaiut Yoga Telluride, for a yoga retreat in Costa Rica at the world class retreat resort Bodhi Tree Resort. Details here.